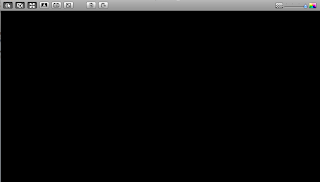 There appears to be some sort of limitation on screen colors when using ARD 3.2.2 to control an older Mac remotely. The symptom of this is a black screen when you attempt to Observe or Control the remote machine. Unfortunately, this same symptom usually appears when you have a blocked network port (ARD uses TCP and UDP ports 3283 and 5900), so it may be confusing as to which is the issue. After verifying all network settings and router port forwardings are set up correctly, you might try this if you have an older Mac as the target: move the color slider on the top-right corner of your ARD admin panel to a lower value, and then try to reconnect. The story is that I was trying to remote control a G4 dual 500 ( Mystic ) from a MacBook Pro (early 2008). This used to work until recently, when I had nothing but a black screen. Keyboard commands still worked (I can blindly log in from the loginwindow), though mouse movements did not pass through to the old Mac. After fruitlessly chasing network issues with my AirPort router, the last post at an Apple Discussions thread pointed me to the right direction. Once I used the color control on the ARD application to lower the color depth by 1 notch, the next connection worked just fine, with the screen showing up and behaving normally. Now this poor old G4 tower is running 10.4.11 with an ancient Rage 128 Pro graphics card, but it handles its 17inch screen just fine at “million of colors” color depth when sitting in front of it. Very odd how it just stopped working at that depth over ARD.